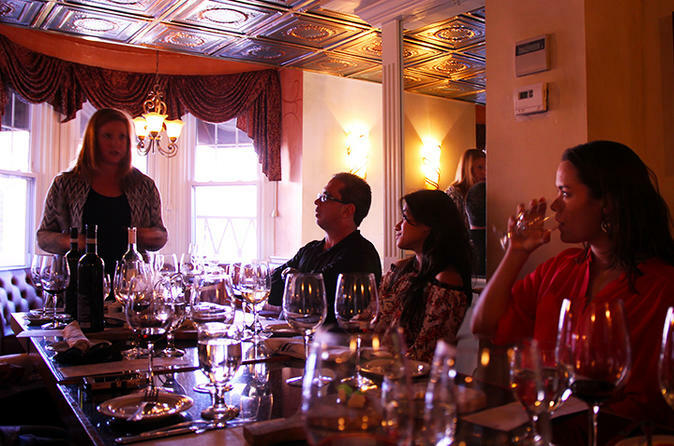 Visit premium wine destinations in Boston’s historic North End neighborhood on a 2-hour wine-tasting walking tour. Home to exquisite mom-and-pop restaurants and beautiful wine shops, the North End boasts excellent wine-tasting venues that you'll discover with a knowledgeable and friendly Wine Ambassador. This small-group tour is limited to 12 people to provide an intimate experience with fellow wine enthusiasts. The historic North End—Boston’s oldest neighborhood—is also home to the city’s Little Italy, making it the perfect place for a wine tour focused on Italian vintages and varietals. Sip and dine your way along the waterfront with a small group of like-minded oenophiles and a friendly expert as your guide. Battery Wharf Grille is located on the Boston’s picturesque Long Wharf. Featuring multiple stylish seating areas for sipping, savoring and celebrating indoors and out, this elegant waterfront eatery reinvents local New England favorites with a flash of Mediterranean culinary brilliance. Enjoy handmade pasta, New England-sourced seafood and local organic ingredients against the breathtaking backdrop of Boston Harbor. Sip a glass of bubbly prosecco, and pick up tips from your guide on deciphering the regions, varietals, and vineyards on an Italian wine label. From there, pass the historic Old North Church and make your way past the lively restaurants of Hanover Street on your way to one of 2 different Italian gems—Artu or Scopa. Both offer the perfect ambiance for savoring Italian wines paired with delectable northern Italian delicacies. Swirl and sniff whites and reds from Sicily and the golden hills of Tuscany, and delve further into the characteristics of the different wine-growing regions of Italy between bites of savory Italian foods.